The onions are filling out, the potatoes are sprawling all over themselves (and still no Colorado Potato Beetle to be seen…curious! 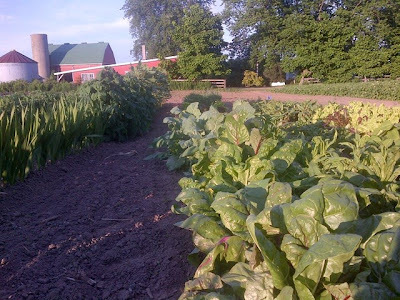 ), the squash and pumpkins are flowering like crazy and starting to vine….it’s time to start taking registrations for Fairmeadow Farm’s Fall CSA garden! 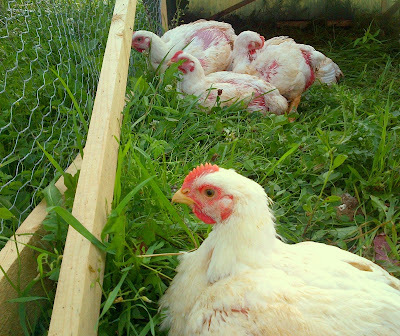 We’re also thrilled that for 2013 there will be some very happy chicken and beef for sale alongside the produce, for the interested omnivores among you! Get excited, people, for the excellent eating that is to come! 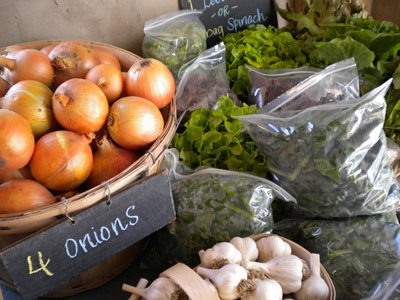 Find all this season’s info and the registration form on the 2013 Fall CSA page here! And if you're so inclined please help us spread the word about the CSA by sharing the info and links with friends and family you know who might be interested in joining! We also have a page where we've answered some frequently asked questions here. If you'd like a PDF version of the brochure that's easier to view and print, just send me an email (as alas, I can't figure out if I can/how to upload docs to Blogger at the moment...). If anyone would like some hardcopies of the brochure to share with colleagues, friends, family, in their community, let me know and I'll send you as many as you'd like to spread around! Meat info will be posted and emailed in the next day or two as well, and you can place an order for summer chicken or beef (perfect for grilling season! ), or plan on being able to pick some up in the fall alongside your veggies. Can't wait for the start of our main harvest season, but hope to see many of you before then at one of the farm's work bees or the summer garden tour...dates to be confirmed and posted shortly so stay tuned! 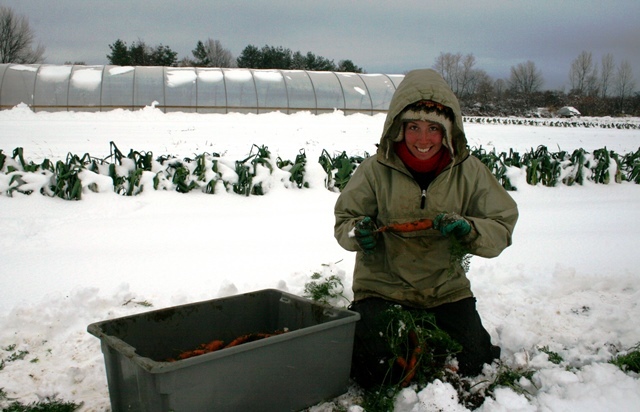 At the time this was kind of a stressful carrot harvest. At this moment, I am longing for 6 inches of snow to fall on me!